Carmel, Garden of God | I'm a woman who is called to be a Carmelite nun – a bride of Christ. Please consider donating to help me enter Carmel. I have been graced with very kind people/readers of this blog who donated to me and to a benefactor who paid for my airfare and a family member who came into some money when a piece of property sold was able to give me some money for other travel expenses. I will be leaving next Wednesday, November 12th. I will arrive and enter on the 13th and will either enter on the 14th (feast of All Carmelite Saints) or the 15th (feast of All Carmelite Souls). I am not sure of the entrance date as Mother Prioress will decide how long I will “recover” from jet lag and stay in an open flat (apartment) they keep in a building they own at the edge of their property near the road called The Lodge (picture below) that has 3 flats (their caretakers have one, another couple has the second and the third is kept open for visiting discerners like myself who stayed there for a week and for the sisters’ family who come from far away or visiting priests. Due to several circumstances, I wasn’t able to update or post on this blog for quite some time. I probably won’t post any more after this, unless I can on the day I leave for the airport (or night before) as I am so busy with last minute arrangements and dispersing of my MANY books on Carmel, etc I have collected with family, friends, my church, etc. I had miscalculated my time left and now I am running around like the proverbial chicken with it’s head cut off! ha! When I visited them, I was wiped out from jet lag so as Mother Prioress didn’t want me to enter Carmel half dead and barely awake on my feet, she wants me to stay a day or two in the Lodge flat. I am not a frequent flyer at all and the last time I flew overseas where I’d be affected by jet lag was to visit them and then before that to Ireland to visit family when I was in my teens for several years so I am a wimp to this jet lag! But it is wonderful to enter on either of these Carmelite feast days! This Carmel is one of many that give the religious name to the woman BEFORE she enters Carmel. 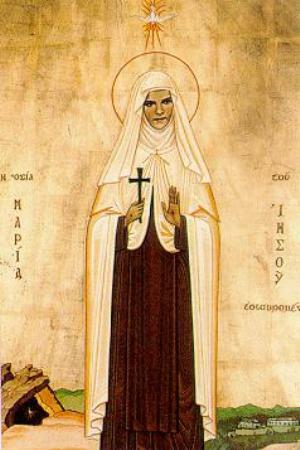 Other orders (including some Carmels) wait to give the religious name to the postulant when she is clothed in the holy habit of Carmel and becomes a Novice. My religious name – which I’ve had for quite a while as I’ve had to wait to enter for so long! – will be “Sr. 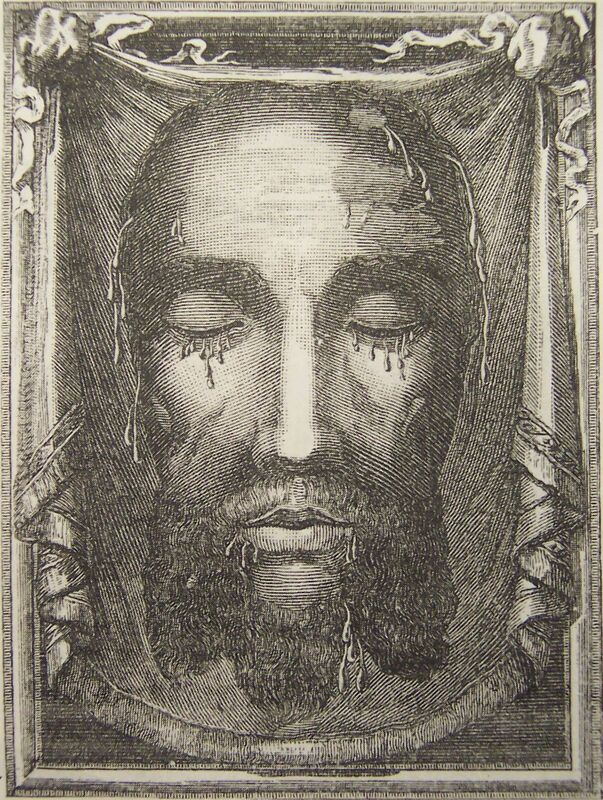 Mary Maravillas of Jesus and the Holy Face”. 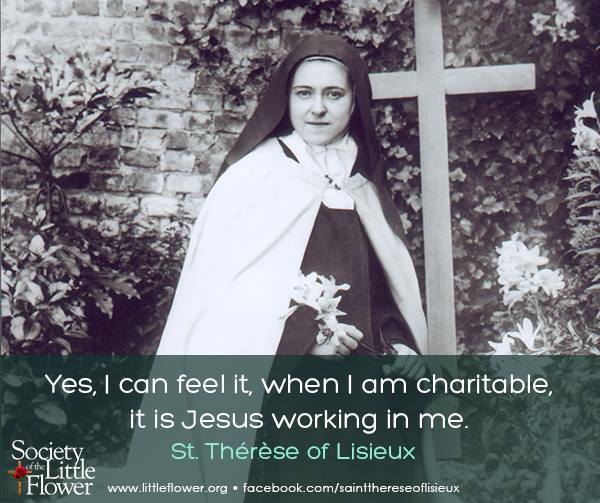 My favorite Carmelite saint and my favorite devotion, see above. “The gates swung inward to reveal the community, waiting to receive me – standing in the cloister in their white mantles with lighted candles, ranked in order of entrance forming a corridor through which I would pass, moist-eyed and blushing? No. 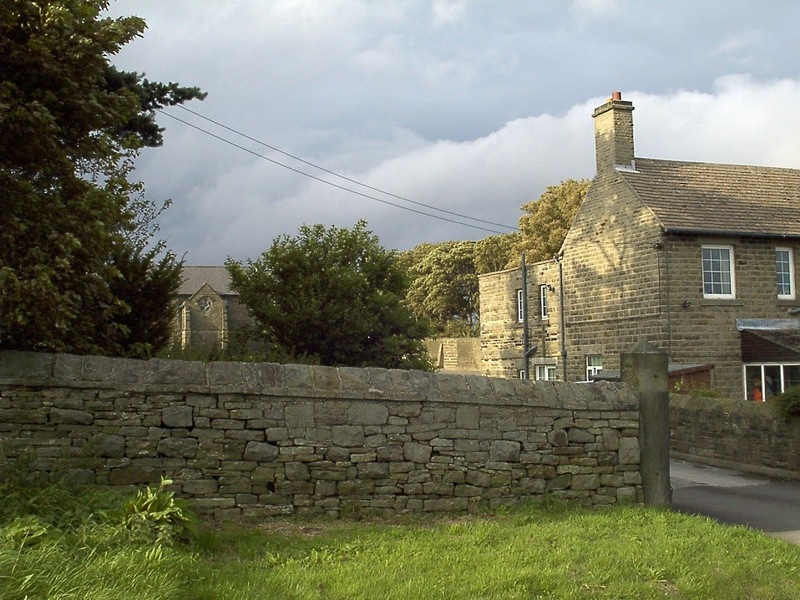 We were not on a movie set but in a cobbled yard, the service entrance of Victorian-era building, formerly an orphanage and vocational school runs by the Sisters of Charity, up on the wild and woolly moors of South Yorkshire. Sun shone into the yard and onto the Sisters’ faces as they stood loosely together in their habit sleeves. They may well have arranged themselves in some particular kind of order according to Office but, at that moment, I would have been unaware of such a detail. All looked at me intently and in a friendly way. I advanced, returning their gaze with a slightly goofy smile, as a Sister swung the large gate closed behind me. The Prioress came immediately forward to embrace me, speaking quiet words of welcome, and the Sisters followed suit, some giving the typically monastic greeting of a sort of bob to the left and right of me, others giving me a strong hug. Our Mother (as the Prioress, always and by everyone, is referred to – even by herself!) then took my hand and led me to the door going in. Her wooden shoes (protecting her alpergates from the mud) made a friendly clopping sound on the paving stones as we crossed the yard. She left these aside as we stepped through the doorway. Still holding my hand, she led me to the chapel. It is customary in any monastery to bring a visitor or a newcomer first to the church or chapel, which is the heart of the monastery. The chapel is central to the practices of any monastic community of any Order or tradition because the celebration of the Mass or the Divine Liturgy takes place there and because it is the setting for the chanting of the Divine Office, the public prayers of the Church. 198. Contemplation of the Divine Mysteries and assiduous union with God in prayer is not only the first and foremost duty of the Discalced Carmelite Nuns but it constitutes the very essence of their vocation and the one and only apostolate of their lives, immolated totally in contemplation. Therefore, they should strive to make progress each day in divine intimacy by means of conversation with God, converting their whole life into prayer. If this chapter, as it seems, is the heart of the 1990 Constitutions then the heart of this heart must be the phrase “…immolated totally in contemplation.” If only a few words could be used to describe or give insight into the Carmelite charism and vocation these would be they. Led into the chapel, I found myself now inside the photographs I had only been able to look at before on the community’s website. It was all as I hoped and felt “right” to me. Despite the high ceiling and a bit of architectural detail, it was a classically Carmelite chapel and had a simplicity and austerity in which I thought Our Holy Mother Teresa would have been at home. The nuns in their choir for early morning mental prayer. I will be leaving this blog up for any of you who have never seen all my posts – several on my visit to this Carmel and several stories of women who entered this Carmel as postulants and for any future newcomers to this blog who, with the grace of God, finds interest in Carmel, it’s saints and their writings and their vocation to Carmel. Of course, anyone can borrow any of the pictures I posted as they were either found on internet at other sites or my own (photos of my Carmel). I will keep all of you who were so kind enough to send me donations and all of you who have followed my blog and have read it. I will pray for all your intentions and those of your family and friends. Please keep me in yours. God bless and may we all meet at the feet of Christ and His Mother at the foot of the Cross and in Heaven, by the grace and mercy of God. “To live a life of love is not to set up our tent on Tabor. This wonderful video was made by my good friend, MC. 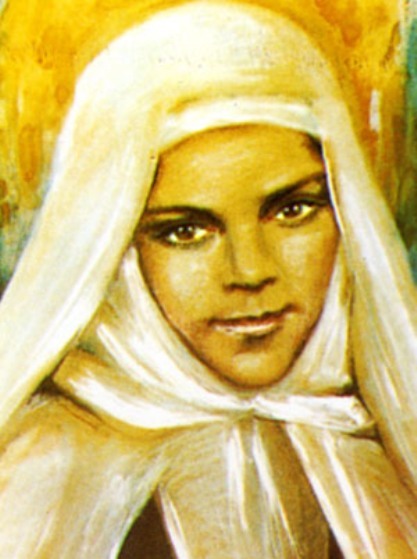 Blessed Mariam Baouardy, known in religion as Blessed Mariam of Jesus Crucified, was born in Ibillin, located in the hill country of upper Galilee, Palestine. Her family originated in Damascus, Syria. They were Catholics of the Melkite Greek-Catholic Rite, descendants of the Archeparchy of Antioch, the place where the followers of Jesus were first called Christians. Her father, Giries (George) Baouardy, came from Horfesch, Palestine; her mother, Mariam Chahine, came from Tarshish, Palestine. Full of confidence, the husband and wife left for Bethlehem, at that time a very long trip of 170 kilometers, which they made on foot.. We can guess their hope and fervor as they prayed at the Grotto of the Nativity, where the Mother of God blessed them by grating their request. The parents were overjoyed when their prayers were answered and Mariam was born to them on . the eve of the Epiphany, January 5, 1846, and as promised they then named her after the Virgin Mary, in whom they had a great devotion.Ten days later in the local Melkite Catholic Church in her hometown of Ibillin she received Baptism, Confirmation and the Eucharist. A few years later Mariam would be joined by a little brother named Boulos (Paul), but this joy was to be short-lived as both of little Mariam’s parents died. Mariam lived in the comfortable home of her uncle who kindly cared for her as if one of his own. One incident from the time of her childhood revealed significant insight into her forming character. It clearly indicated the direction of her life to come. It took place in her uncle’s orchard amidst the apricot, peach and pecan trees. She kept a small cage filled with small birds, a gift given to her. One day she decided that her little beloved birds needed a bath. However she unintentionally drowned them in spite of her well-intentioned efforts. Their death broke her small heart. Grief-stricken she eventually decided to bury them when deep inside she heard a clear voice, “This is how everything passes. If you will give me your heart, I shall always remain with you.” These words penetrated and took root in the young heart of Mariam. Later in a “dream” that she was always to remember, she saw a merchant come into her uncle`s house and offer a fine big fish for sale. She understood that the fish was poisoned, then she woke up. “It was only a dream!” she told herself. But in the morning a man did present himself to sell a fish just like the one in her dream. She warned her uncle, who nevertheless stubbornly persisted in waiting to buy the fish. Mariam wept and insisted that her uncle not eat the fish, and since her would not give in she insisted that she should take the first bite, happy to sacrifice herself for the others. In the face of her persistence, her uncle and aunt finally opened the fish, and to their great astonishment and surprise the fish was indeed poisoned, as it had swallowed a small poisonous snake! On another occasion somehow a snake managed to get into the house and came into the room as she was eating by herself. Unafraid, she picked it up, and just then a servant opened the door,and seeing the snake and the child, he screamed. Surprised, Mariam let go of her hold and the snake escaped, while the rest of the family came in running because of the servants scream. The snake incidents seemed to be a precursor to her future mystical battles against evil. 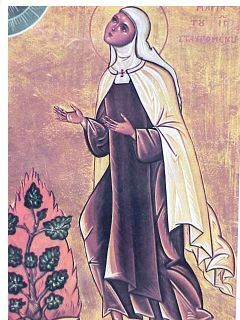 During her life, Mariam often had a visions of snakes, and later her very life as a Carmelite and a Mystic was to be a fierce battle against “the ancient Serpent”, who is called the Devil or Satan, the seducer of the whole world, (Apoc. 12, 9.). But like the Woman of the Apocalypse, she would emerge victorious. The Blessed Virgin was to surround with much tenderness this young girl whose parents had asked for her at the grotto of Bethlehem. Mariam was to be the privileged child of Our Lady. In Her honour, from the age of five, she fasted every Saturday, taking only the evening meal to the great admiration and edification of her aunt and uncle, who were continually in amazement by the devotion of such a young child. In the springtime she would gather flowers choosing the loveliest and most fragrant from the garden or on the hills of Ibillin to place before the icon of the Blessed Virgin. And what was not her surprise one day to find that the cut flowers had taken root in the vase? She showed her uncle who, in turn informed the local pastor. In an effort to keep her humble, he scolded her as though her sins were responsible for this phenomenon. Mariam fell on her knees, humbled herself and asked pardon for her sins.“What do you think will become of this child?” wondered the pastor, the relatives, and the neighbours at the sight of such spiritual piety and devotion from a five year old child. In the morning Mariam informed her Uncle that she would not marry. Her first tried to reason with her, explaining the material advantages and benefits of the prearranged marriage. Her adoptive uncle then flew into a wild rage when he saw that Mariam would not marry, but would remain a virgin. The uncle then beat Mariam and screamed his rage at her insubordination and disobedience to his order. This did not change Mariam’s mind as she withstood the beatings and insults hurled at her by her uncle. Mariams heart was deeply saddened that she had upset her uncle, but she stood firm in her resolve, for her love for God was greater than anything else.In punishment, her uncle then resorted to have her treated as the lowest household servant, giving her the most difficult kitchen tasks, and subjecting her to a position lower than his hired help. Mariam sank into a deep sense of desolation and desperation. In her suffering she turned to her younger brother, Boulos. She wrote a letter to her brother inviting him to come and see her in Alexandria. Mariam never saw her aunt and uncle again. They knew nothing of the tragedy and they thought that Mariam had run away to escape the ill treatment and to perhaps to become a nun. They had every interest in keeping silence about their adopted child., as she could only bring them dishonor by her refusal to marriage.She was only thirteen and was now on her own. At first she supported herself by working as a domestic servant. An Arab Christian family named Najjar hired her to work for them. They gave her food, room and a small salary.. She lived as one of the poor, with just one dress, and her salary was given to the poor, except for a few piastres to provide oil for the little lamp that burned before an icon of the Blessed Virgin. Her spare time she devoted to the less fortunate.Hoping to see her brother, and especially desiring to walk in the footsteps of the Lord and to visit His holy places, after about a year she left and joined a caravan that was heading for Jerusalem. One day in the streets of Jerusalem, a young man, very handsome, and with an air of sincerity, came up to her and began a conversation. She was fifteen years of age. The conversation was one of great delicacy, the young man spoke to her in praise of perfect chastity. Some days later he met her again, said his name was John George, and offered to show her the way to the Holy Sepulchre. Having arrived at the holy place, she promised her mysterious guide that would take a perpetual vow of virginity if he would do the same. And thus it was that at the sacred edifice, on the very place of the glorious tomb of the risen Lord Jesus, these two young people became “children of the Resurrection” by pronouncing the definitive vow of chastity.Before taking leave of Mariam, John George recalled to her the main stages of her life as the Blessed Virgin had sketched them for her in the grotto of Alexandria. Ten years later at Mangalore, India, Mariam was to see her “spiritual brother” again, this was shortly before her perpetual profession in Carmel. The young religious then understood that John George was an angel that the Lord had sent her, to help guide her, as he had in former days to the young Tobias.After her stay in Jeruselem, Mariam returned to Jaffa to go from there to Saint Jean d`Acre, however the boat she was travelling was forced by inclement weather to change direction and to port in Beirut. Feeling it was perhaps the will of God, she once again took up an occupation as a household servant.Miraculous cure of blindness and another cure after a dangerous fall. Two exceptional facts stand out during this period. She had been working for scarcely six months when suddenly she was struck with total blindness. This lasted for forty days. Once again Mariam turned to the Blessed Virgin, “See, my Mother,” she said, “all the trouble that I am causing in this house. I was not even better cared for by my parents. Oh, if it would please you and your divine Son, give me back my sight!” Immediately something fell from her eyes and they opened, and she could then once again see. A couple of months after that she suffered a tragic fall when she was hanging clothes on the terrace. At first the family win whom she was working for thought she was dead; her bones seemed to be badly broken and crushed, and the doctors gave no hope of recovery. Her employers cared for her as for their own child. 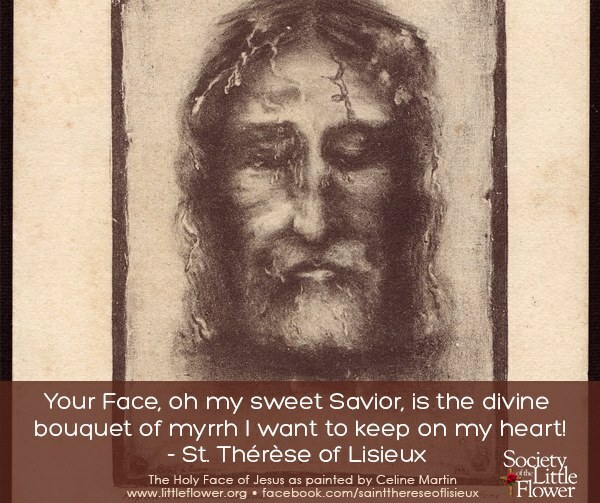 A month later, in front of her little night lamp that she kept burning before a statue of the Blessed Virgin Mary, she saw – as did Therese of the Child Jesus later on – the Blessed Virgin smile at her, recommending three things to her, obedience, charity and confidence. A perfume and light filled the room. Mariam was cured, and she immediately became hungry. The family and neighbours came flocking in, and at the sight of the prodigy everyone, Christian and Moslem, went down on their knees, giving thanks and proclaiming God`s miracle through the Virgin Mary.These facts were later confirmed in a letter in 1869, when the prioress of the Carmel of Pau where Mariam was then a sister, wrote to Sister Gélas, the superior of the Daughters of Charity of Beirut, asking her to verify the accuracy of these facts, and the superior confirmed that the events had happened exactly as stated, and even added some further details.At age eighteen, circumstances led her to leave Lebanon for Marseille, France at the beginning of May, 1863. There she became a cook for an Arab woman named Madame Naggiar. Each morning Mariam usually went either to the church of St. Charles or to the church of St. Nicholas, the latter being of the Greek Catholic rite, which was her rite. In this church she once again enjoyed the sumptuous ceremonies of the confessor she chose Father Philip Abdou, the rector of the church, a Lebanese.During one of her first communions there, she was rapt in a wonderful ecstasy. Her mistress, when informed of it, came for her in her carriage. The phenomenon lasted for four days, and the doctors did not know what to make of it. Mariam acknowledged later that she had gone through heaven, hell and purgatory. While in ecstasy she received the order to fast for one year on bread and water to expiate the sins of gluttony in the world, and to wear poor clothing to expiate the sins of immodesty and luxury. 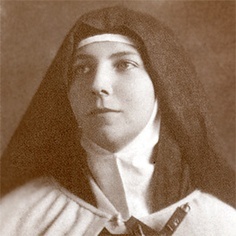 She made a fresh attempt, at the Sisters of St. Joseph of the Apparition, founded by Emily de Vialar. For was it not St Joseph who had appeared to her repeatedly in the street encouraging her to become a nun! The motherhouse and novitiate were located at “the Capelette” in the suburbs of Marseille. The little Palestinian could neither read nor write, and she spoke only Arabic. She was accepted, however, because the novitiate in fact had a few Palestinians among its numbers, and the Congregation had several communities in the East, especially in the Holy Land. Upon entering she was familiarly called “Mariam the Arab”, or ”the little Arab”. She remained a postulant for two years. Thus the first part of the vocation that had been given to her by the Blessed Virgin had been realized, for she was now a daughter of St. Joseph. Her fellow sisters were always amused by her broken French, but they were most impressed by her remarkable virtues and piety. Fortuneately for Mariam, two women of great virtue were directing the Capelette at that time, the Superior General, Mother Emily Julien, and Mistress of novices, Mother Honorine Piques. They were excellent spiritual guides for Mariam and to their surprise they soon began to notice some strange phenomena in little Arab. The ecstasies of the church of St. Nicholas were multiplied, with some disturbing peculiarities. 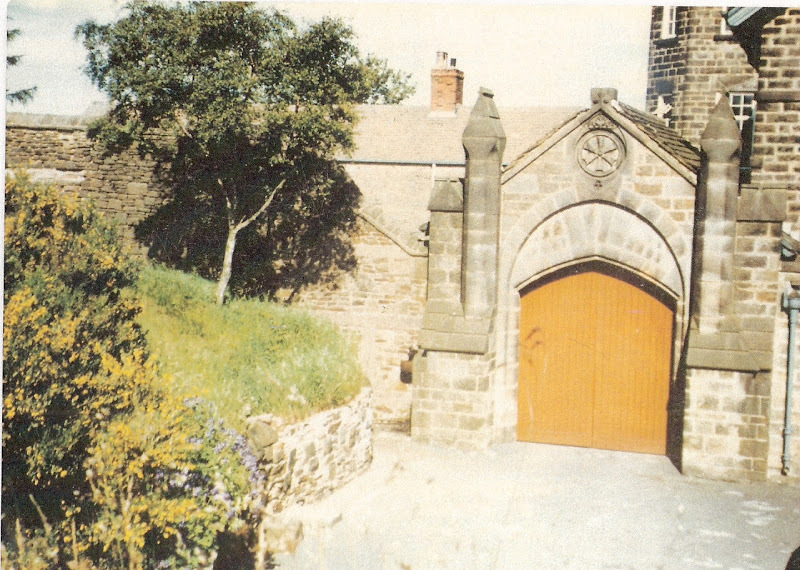 Thus it happened that in January 1866 – the postulant was twenty years of age – Mother Honorine came upon Mariam in the dormitory, prostrate, with her face to the floor and her left hand covered with blood. From Wednesday evening to Friday morning each week, to the ecstasies there soon was added another remarkable phenomenon, the stigmata. The following day, Thursday, the sufferings continued to increase until Friday. It was the Feast of the five wounds of Christ. In the morning, about ten o’clock, the black scabs fell off, the crown of thorns appeared on her forehead, blood flowed from her head and feet. The prodigy was renewed during the months of April and the first two weeks of May. It ceased upon an order of the mistress of novices. This latter, in order to put an end to the rumors that were circulating in the community, asked the postulant to obtain from God that nothing would appear exteriorly. To the great joy of the stigmatist, the wounds closed and healed up.Faced with such facts, Mother Honorine acted with as much prudence as understanding in regards to both the ecstasies and also the stigmata. Obedience being, in such cases, the litmus test of the Church, she thus forbade Mariam to have ecstasies during the day and in the presence of the religious. Even during the night she was not to get up, and she was not to attract attention. Mariam obeyed, and God, Whom loves obedience, seconded and approved of her actions. The Mistress of novices, seeing that she was dealing with a person extraordinarily fashioned by the Holy Spirit, asked the child to relate for her what she remembered of her childhood and adolescence. Everything was put in writing. 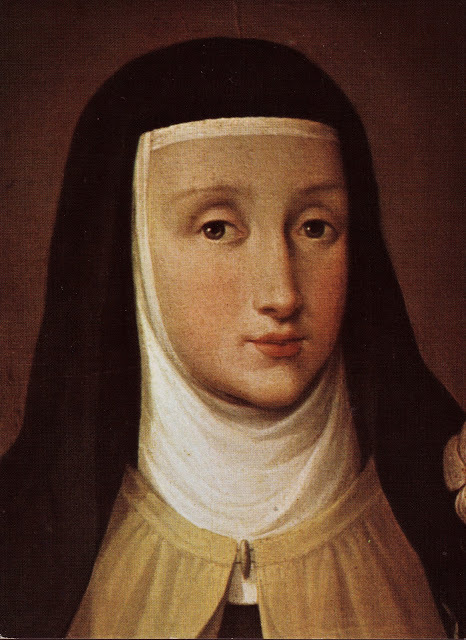 One copy would later be sent to the Carmel of Pau with this note of Mother Honorine, “I am sending you copy of what I myself have gathered together from what she related to me, not without much resistance, but complying solely through obedience. She asked of me the greatest secrecy which I have guarded until this day… I have omitted everything I did not entirely understand, because of the difficulty this dear child experienced in explaining herself in French. 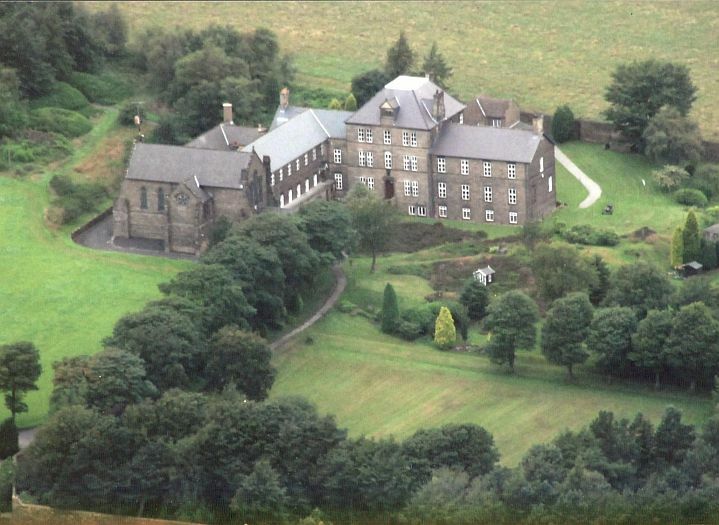 “Mother Honorine fell ill, and was replaced in the novitiate by Mother Veronica. 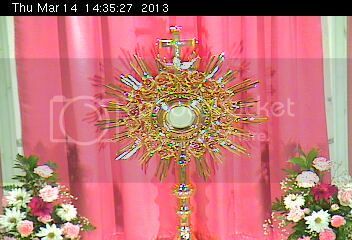 This religious was to hold a large place in the life and heart of Mariam. She was English and a convert from Anglicanism. 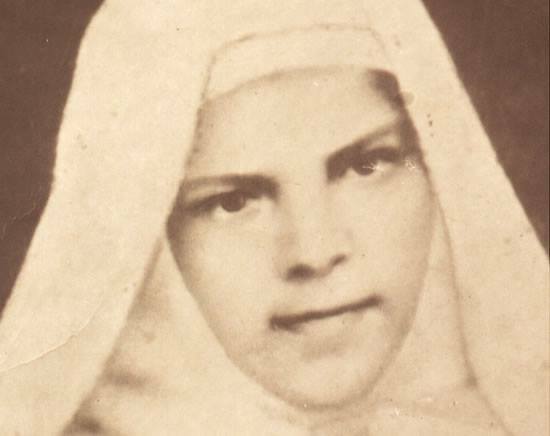 After seventeen years of religious life with the Sisters of St. Joseph, she was later to enter the Carmel of Pau with Mariam, and it was in her arms that “the little Arab” would die, at the Carmel of Bethlehem. Mariam, had foretold that, contrary to all expectations, Sister Veronica would become mistress of novices at the Capelette. She held this office for one month, until the reception of the Indult permitting her to enter Carmel. And it was at Mother Veronica’s wish that Mariam`s stigmata disappeared at Marseille, and in accordance with Mariam’s prophecy at that time, the stigmata would not reappear until the following Lent, at Pau.Opposition from some religious. 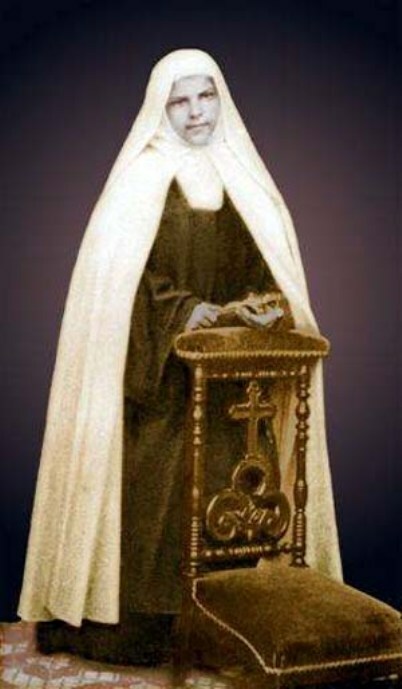 Having both gained admittance into the Carmelites, the two religious presented themselves at the door of the Carmel of Pau, France on Saturday, June 15, 1867. 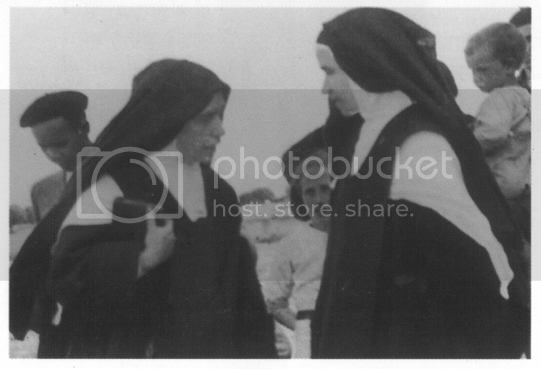 Mariam knew nothing at all of Carmel or of St. Teresa. But that day she understood that the mysterious words of her miraculous nurse at Alexandria were realized, “You will be a child of St. Joseph before becoming a daughter of St. Teresa”. 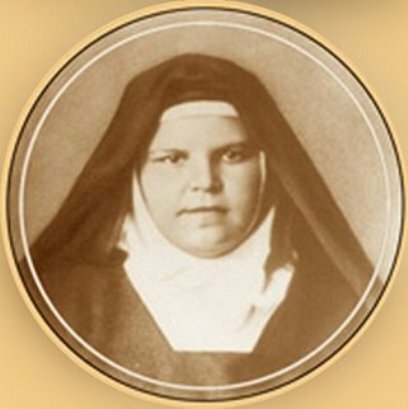 September 1875 – August 1878, Carmel of Bethlehem. Those who read her life discover that Myriam had experienced ecstasies all her life: from her early childhood, in the garden, in her home, and in the church of Ibillin; during the bloody night at Alexandria, at her employers in Beirut and Marseille. In the church of St. Nicholas she was rapt in an ecstasy that lasted four days. But it was especially from the time she entered religious life that the phenomena began to be intensified. 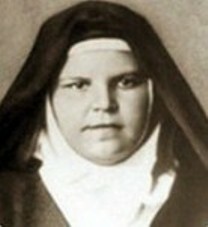 At the Capelette, when she was with the Sisters of St. Joseph, she was found in ecstasy in the chapel, at recreation, and especially at night in the dormitory.After she entered Carmel, we note a crescendo, to the degree that at Mangalore the ecstasies occurred almost daily: she had as many as five a day. At Bethlehem, during her last years, they were still more frequent, but at the same time more serene and more painful. The ecstasies would sometimes occur suddenly, and at other times progressively. “There are times,” she said, “when I can do absolutely nothing: no matter what I do to prevent it; and at other times I can distract myself a little in order not to go off.” In fact she did struggle against the raptures. In her ignorance of mystical things she did not even suspect the privilege she enjoyed for she spoke of her ecstasies as “sleep” And how she fought against going to “sleep”! She begged Father Manaudas, her spiritual director, to forbid her to this sleep. “I am in God, and God is in me. I feel that all creatures, the trees, the flowers belong to God and also to me. I no longer have a will, it belongs to God. And all that is God´s is mine. “Only love can fill the heart of man. The just man is satisfied with love and a pinch of earth, but the wicked man, with all the pleasures, honors, riches (he can acquire), is always hungry, always thirsty. He is never satisfied. “Pay attention to little things. Everything is great before the Lord. The Lord does not want robbery in the sacrifice. Offer and give Him everything. 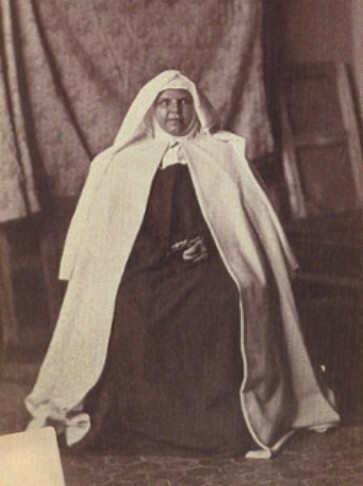 Don Belloni, confessor of the stigmatist at Bethlehem, asserted that when holding one of her hands against the light, the flesh appeared transparent at the place of the stigmata.Besides being deeply grounded in humility, in her ignorance she did not realize that the stigmata was a privileged grace from God; she looked upon it as an illness and begged God and Blessed Virgin to take from her what she called “the wretched marks.” According to her prediction, the wounds reopened the following Lent, at the Carmel of Pau. They caused atrocious suffering and flowing of the blood. 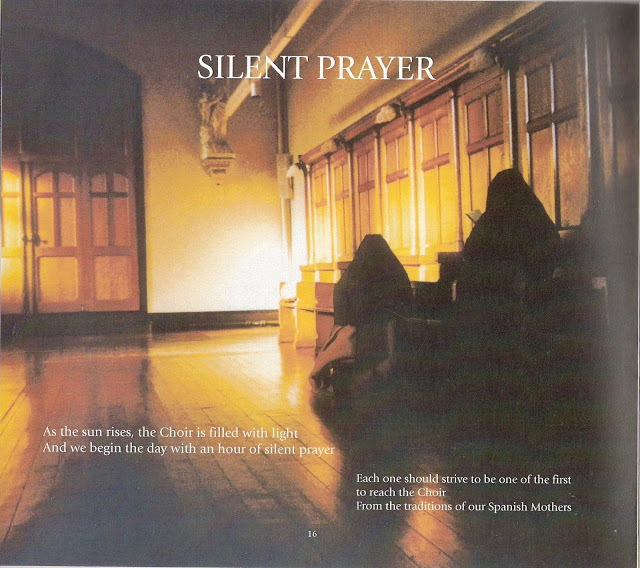 That was renewed every Friday during the Lent of 1868.The Carmelite nuns were admitted to see the prodigy; and the superior of the Carmel, Father Guilly entered the enclosure. He verified the phenomena, he put his finger on one of the wounds: at this contact the novice´s entire body shuddered. On Holy Saturday the Stigmata disappeared.The wounds appeared again at Mangalore. On November 20, 1871, the eve of her profession, the little one confided to the mistress of novices: “If I tell you something will you keep my secret?” – “Yes.” – “Look, this illness that I fear so much has returned.” And she showed her her swollen hands and feet. The day after her profession the stigmata bled profusely. 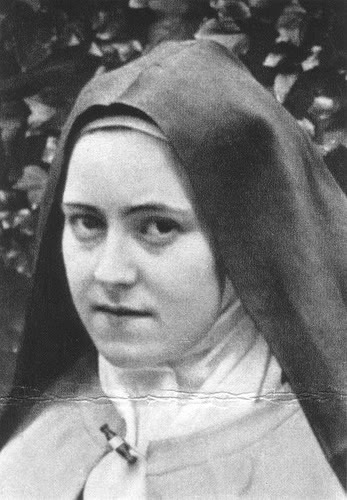 Frightened, the sister earnestly begged God to cure her. This time again she was heard. For more than four years she experienced nothing.The last period of stigmatization took place at Bethlehem in April 1876. It was the longest and most painful. It made witnesses think they were on Calvary before the spectacle of Crucifixion! Sister Mariam said: “Do you know? Five rosebushes are blooming, quick, quick. They have given the roses to others, and the thorns to me.” And she added with a smile: “We do not like that; here we give at least a few roses! And not to let me smell the perfume at all, nothing but thorns! Oh, well – I deserve it! That Jesus may be content, that is all I desire. I accept all the thorns on my body, but tell the Master of the rosebushes to close the roses.” After these red flowerings at Marseille, Pau, Mangalore, and Bethlehem, the “five roses” of her Stigmata were closed for the last time on April 26, 1876. Mariam’s devotion to the Holy Spirit was not common in her time. And yet her spiritual journey seemed to be guided by the Spirit in unprecedented ways. 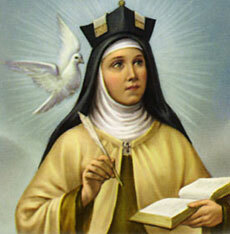 Inspired by having received a special prayer to the Holy Spirit during one of her ecstatic experiences, she was convinced that devotion to the Holy Spirit, who was then commonly known as the Paraclete, was needed by the whole Church. 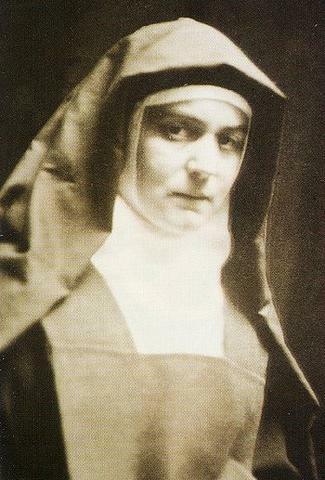 She even sent a petition to Pope Pius IX asking him to cultivate a greater devotion within the Church to the Holy Spirit. No one knows what the pope thought of this at the time, but 20 years later Pope Leo XIII published an encyclical about devotion to the Paraclete. 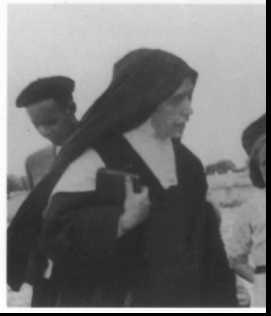 On January 5, 1878, Sister Mariam entered her 33rd year of life. In August of 1878 she broke her left arm when she fell while carrying water to the workmen in Bethlehem whom she was helping to build the new Carmelite convent. It was clear that her health had been compromised for quite some time and now her arm would not heal but rather swelled with gangrene, and the infection spread to her lungs and respiratory tract. She knew she was dying. Through her suffering she renewed her vow as a victim for the Church and for her adopted country France. On August 26, 1878 she felt as if she were suffocating and died soon after murmuring, “My Jesus, mercy.” It was ten minutes past five in the morning. Like her Jesus she died at the age of 33.